Thank you to Ed Ventura at Chandler View for sharing this FREE resource with us. It now appears on all of the elementary library websites as either a tile in your database area or as a link on the side. (Secondary folks, see the link below if you would like to use it.) Bonus, our ESL department had some of their translators listen to the books, and they said most of them are really good! We picture a world where all children have access to an abundance of books that celebrate their languages and cultures and cultivate a life-long love of reading. As a for-profit social enterprise, we partner with businesses to change the literacy landscape of their communities by introducing families to our free digital library. 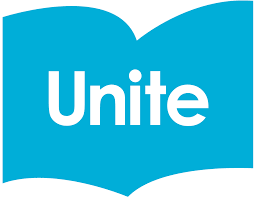 Unite for Literacy has originated a unique way of assessing and talking about book scarcity. We analyzed statistical variables including income, ethnicity, geography and languages as they relate to the number of books in homes. The resulting interactive Book Desert Map presents our conceptual findings in visual form from the state down to local scale. Our intention is for this map to illuminate the problem of book scarcity and initiate conversations across the public, private and civic sectors about the geography of books and reading, in order to focus community efforts to create book abundance. The 2018 event will be held Oct. 7 - 13th, featuring the theme "It's Written in the Stars: READ." Library staff, afterschool providers and educators can use this theme to encourage teens to think and read outside of the box, as well as seek out fantasy, science fiction and other out-of- this-world reads. Join the conversation on Twitter with #TRW18. The 2018 Teens’ Top Ten voting is now open! Now through the October 13, teens can vote for their 3 favorite titles from our list of nominees! Check out and share the nominees video below and encourage your teens to vote! Winners will be announced the week of October 15th. TEENS ONLY are asked to vote. If you have access to devices in your buildings, this might be a great activity to partner with your teachers to get students voting! Think about what you can do to engage your students and parents during Open House. 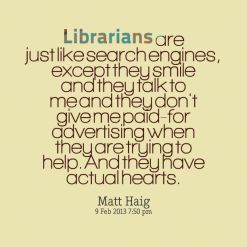 What will get them into your library? Some schools do a scavenger hunt for families. Make sure you're a stop on the list! Camille Wakefield at Norris did a guess the Shelfie promotion a few years ago. She had teachers take a picture of their school or personal bookshelves and students could stop by to make their guess to win a prize! When I struggled to get people in the door , I set up a table outside the doors with information that might be helpful for students and parents like database password sheets, information about OverDrive, book club or other special programs, and parent info from Common Sense Media. What great things have you done or plan to do for Open House? Let Courtney know by 3:00 on Friday, and she will share ideas out with the group. Eileen Heller (OPS Elementary Tech Trainer) and our very own Erin Solheim (Walnut Hill School Librarian) have been working on a special project they would like your help on if you are able. They have been working with individuals from TeachSGDs to create a bank of book recommendations. This book collection could be used as mentor texts in individual lessons about the goals or as part of nonfiction inquiry texts. 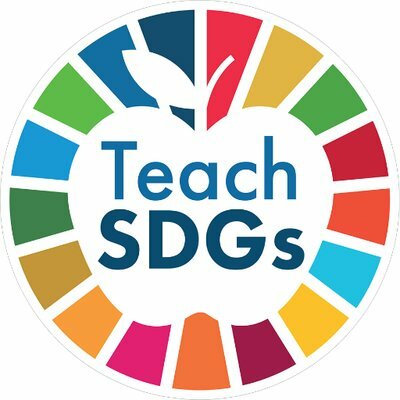 We are calling this project the Global Goals Book Collection and you can learn more here. My Tips & Helpful Google Docs For Awesome Collaboration Between Teacher Librarians and Teachers! The article discusses the benefits of makerspaces in libraries to students and to librarians. Topics discussed include the significance of a maker workshop conducted by a group from the University of Michigan in 2016, the role of makerspaces in helping librarians connect with children, and comments from Jose Sandoval, a program specialist with Community Science Workshop Network and SAM Academy. The article offers information on how makerspaces in libraries and schools can be dynamic and rich learning opportunities. The need to focus on being more intentional about documenting what is happening in one's space through videos, journaling, and photos is mentioned. It questions how to convince stakeholders to invest in the long-term skill development of makerspaces. The article discusses the importance of written documentation in makerspaces. Topics including the mixed success issuing each student a composition notebook, exit slips as a quick alternative to long-form writing, and maker reporter as a role suited to someone who takes more time to get settled into creative acts, are also discussed. The presents a checklist on the things that are needed for a library, the things that need to be repaired and the things that needed to be undertaken. The checklist includes the availability of a place in a library where students can relax or resoothe. It cites the presence or not of a place in a life that can introduce STEM education to the students. FYI: Anyone can attend the live webinars for free. Only AASL members can watch the archived recordings for free. AASL eCOLLAB | Your eLearning Laboratory is a repository of webcasts, podcasts, and other digital resources from AASL. eCOLLAB provides a central location to collected and manage your elearning, on your time and at your pace. 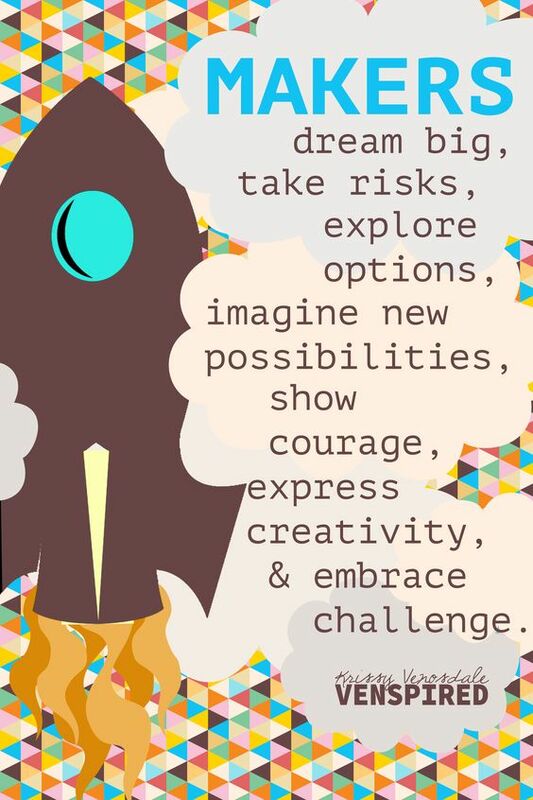 Some content is for AASL members only, BUT some of it is complimentary. Click on the link below to see the free content.